A University Police car. UP will conduct a training exercise next week to raise awareness among the NU community about what to do in the event of a violent incident on campus. 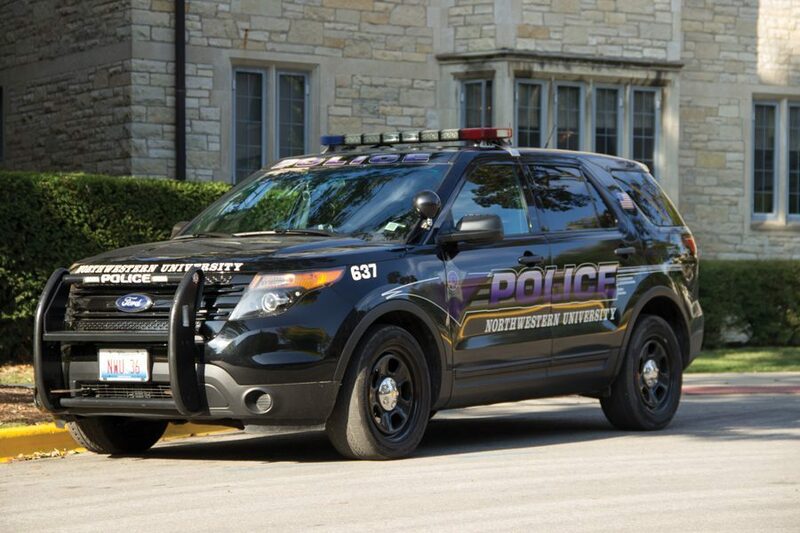 University Police will conduct a training exercise next week to raise awareness among the Northwestern community about what to do in the event of a violent incident on campus, according to a Friday email from Chief of Police Bruce Lewis. The exercise will be filmed for a safety video, and parts of it will involve events that look like a real incident, such as police cars, crime scene tape and scenes with actors and unloaded weapons, the email said. This training comes several months after a swatting incident at NU, in which police received a call reporting a man with a gun on campus and the community was instructed to find shelter. The incident was determined to be a hoax and the investigation concluded. Northwestern is joining the Department of Homeland Security’s efforts to train the public in the “Run, Hide, Fight” strategy in the event of an incident involving a gun, the email said. The UP safety video will educate the NU community about what to do during an incident specifically at the University.